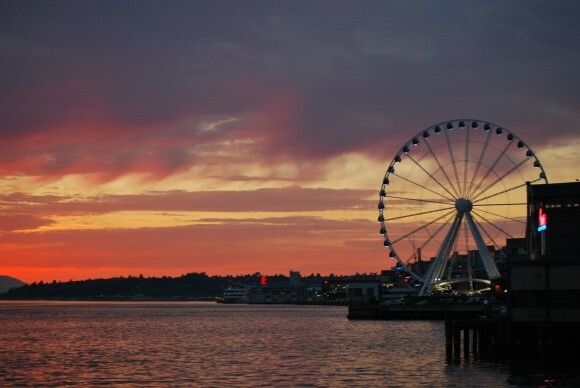 A summer night at the Seattle to Bainbridge Island Ferry terminal with the new Seattle ferris wheel in the background. Photo taken July 20, 2012. Those of us in the real estate trenches have always considered the middle of 2007 as the peak of the Bainbridge market. The correction began on or about September 1, 2007 (let’s say at 3:30 in the afternoon for dramatic effect). So it is very interesting that the last time we closed more than 170 single family transactions in the first six months of the year was in 2007. It is also interesting that the median price of a home sold between January and June has dropped consistently since 2007 … until this year. And one also has to add that this is the first time we have posted two back-to-back quarters of positive transaction growth since 2007. Again, for dramatic effect, I offer this response: YAHOO! Not only were sales up 41% during the first half of this year over last year, but the increases were across the board. All price ranges registered improvement with the upper end more than doubling last year’s sales. We have already sold more waterfront homes than in all of 2011. There have been 20 sales between $1 and $1.5 million, while last year there were only four by the end of June. Granted, last year was particularly slow. But this year’s number is the still the best since, you guessed it, 2007. Sales of distressed properties have actually decreased in number (30 this year versus 33 last year). At the beginning of January, there were 20 bank-owned listings; at the beginning of July, there were 11. Short sales have remained essentially flat. Buyers are shying away from the challenges that distressed properties bring (with regard to turnaround time and the condition of the properties) in favor of the more “normal” listings. Condominiums and land sales have not mirrored residential sales. Condos have actually experienced a drop in sales (33 for this period in 2012, down from 35 in 2011) and the median and average prices have dropped more than 10%. Indeed, we have only had two condominium sales over $400K this year and none over $600K. Land has experienced a slight uptick in sales (14 this year versus 12 last year) but the median price is down 19% to $132,500. Most sales have occurred “in town” and all have been less than $400K. Mt. 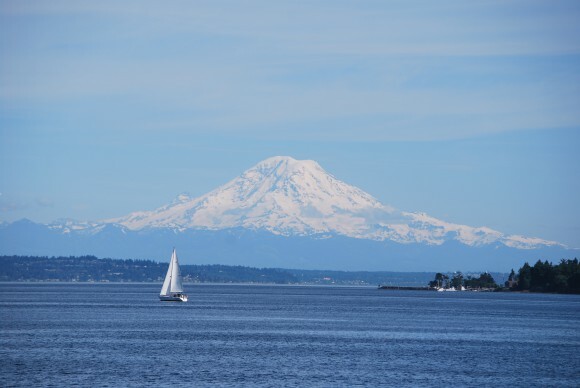 Rainier showing off this summer on Bainbridge Island. Shot taken from South beach Drive in June of 2012. The greater Seattle marketplace has been very strong since last year. Downtown and South Lake Union job rates are growing, fueled by Amazon, Starbucks and others. Bainbridge Island represents the first concentric circle outside of that and we are enjoying the benefits of proximity. The North Kitsap market has lagged behind ours because with the price correction people are finding great values here on the island and not “forced” to move farther from the ferries. Other markets outside of that “first circle” are not experiencing the sales growth we are (although Gig Harbor, in the first concentric circle from Tacoma, is booming). We have maintained a relatively stable inventory. In the “go-go” year of 2006, when multiple offers were commonplace, the active inventory on July 1 was 140 homes. By comparison, we now have 189 homes on the market – 35% more than in booming 2006. Although we are experiencing multiple offers, they are still rarely above list price. Buyers still have choices and are still demanding perceived value. Homes priced incorrectly (by which I mean too high) still continue to sit. We want to celebrate these encouraging trends, but we can’t assume we’re out of the woods. Nobody can say with certainty that we’re done with the bear market that we’ve endured for five years. There are many very positive indicators, but with the lethargic state of our country’s economy and the cloud cover from Europe, it seems rash to be too definitive. That being said, today is today and we will enjoy the strength we have. School is out and summer is in full swing. 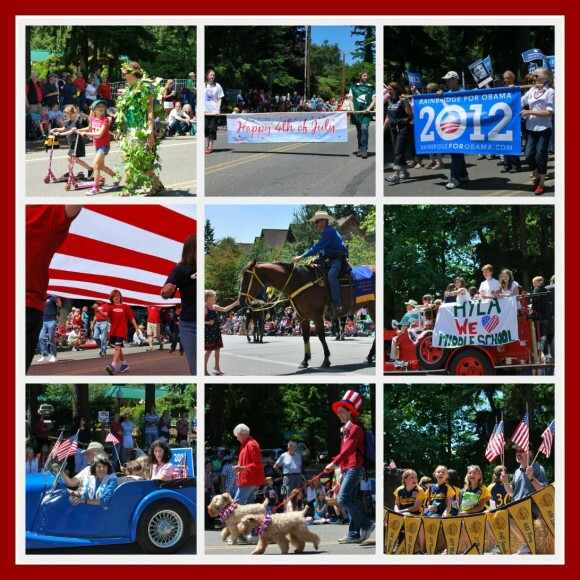 The 4th of July is always fabulous on Bainbridge. The weather was stellar and the activities surrounding the 4th are a must do. We had great entertainment on the 3rd and 4th last week with the street dance on the 3rd and annual parade and downtown festivities on the 4th. And the minute school is out Allstars for softball and baseball starts on the island. My older daughter is playing again this year and this past weekend the 10/11 year old girls won in our division and will go on to the state tournament next weekend. Fun stuff. Summer! Last week marked our five year anniversary of living on the island. It really does seem like yesterday that our lives were loaded onto a large orange moving truck and we bought a one-way ticket to fly up to Seattle. I have spent a lot of time reflecting on our five years here lately, especially since I have helped three new families arrive on Bainbridge in the last couple of weeks. All three of them came here for many of the same reasons we did. More often than not the move to Bainbridge is a deliberate one. And it is a recurring theme I get to relive with my clients. Three of my clients physically arrived on the island in the last few weeks and I have talked to just as many more who are actively plotting their course to arrive next summer. People don’t get stuck here or accidentally stumble upon Bainbridge. People typically discover Bainbridge when they are looking for somewhere better than the status quo. We left a big city. We left crime, crummy schools, poor air quality, traffic. We came to Bainbridge for that ‘change of pace’ you hear me talk about a lot in my blog. A slower pace, a ferry commute, top-rated small schools, beaches, a small community . . . a place where we could breath, literally and figuratively. But getting here, making the leap to move, do something, go somewhere better is easier said than done. Getting to Bainbridge took us three years from idea to reality. This is a very common thing. There is often a new job involved and a home to sell. It was a journey for us and I enjoy taking the journey with others.But I talk to just as many people who don’t make the move here, but want to. They end up staying because of work or family or roots or just because it is easier. And I SO get that. Change is hard. A big move to a place where you essentially start over is exciting for some but scary for others. I talk to people all the time who know they are living in a situation they want to make better. But getting from A to B is not just one step. Some of them I have talked to for years and they rev up the idea, then drop it. Then the notion of moving keeps tapping them on the shoulder and their email pops back in my inbox. Five years ago we moved into a very funky mid-century modern home. 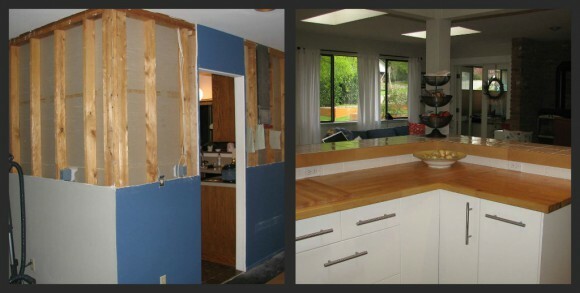 In the past five years we have gutted it and are pretty much on the other side of the renovation project. We added many things like wood floors, new kitchen and baths, a deck, a fence, a garden, a studio . . . I am happy the Aztec inspired berber carpet is becoming a distant memory and although a modern cottage style home is still my style preference, I have embraced the mid-century modern style that is indeed my home. Five years ago I had a preschooler and a second grader. Babies really. 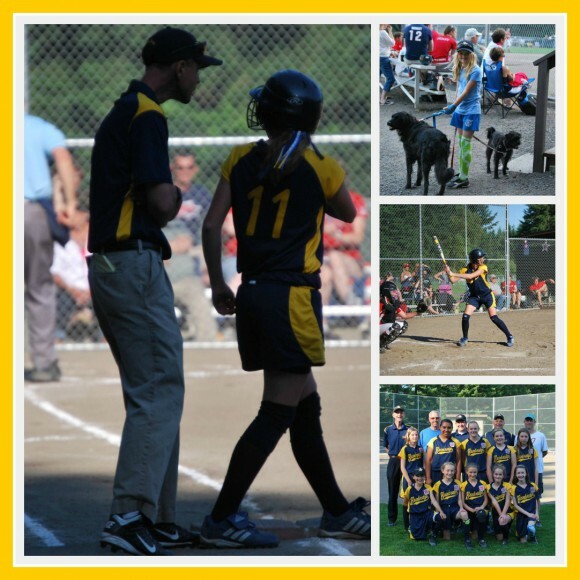 This summer my girls are little women and thriving in our small community with fine schools, good friends, and an amazing sports community. Five years ago we moved into a neighborhood that welcomed us with gift baskets and cookies. Today we are so thankful for our terrific neighbors who have helped with kid sitting, meals, loading/unloading large objects and just being amongst ‘our people.’ Five years ago I drove down the streets of Bainbridge and everything looked odd. Those first months it felt and looked a lot like being on vacation where everything looks angular and unfamiliar. I was discussing this notion of vacation with a client and remember that the vaca feeling lasted until about October for me. Then it hit me like a Mack truck that I was not going home to my cute cottage house in CA. That was a hurdle in the adjustment period, for sure. But today, driving by Rotary Park and the water view on Eagle Harbor all looks and feels like home. In fact I think it took me a solid two years to really feel like I had moved. That I hadn’t just misplaced my return flight ticket. I am sure the renovation of the house added to the unsettled feel. Very sure. And we were contemplating moving to another house on the island for four of the five years we were here too. And this five year mark is bittersweet for me in some ways. I had always held it out there as the benchmark of within the first five years we could return to our old community and slip right back into place. The kids could be friends with their old buddies, go back to the old hood. But after five years, I kind of figured too much time would have gone by, sort of a point of no return. But I don’t at all feel doom and gloom that we can’t do that. At the same time I certainly still miss the community, family and friends I still have, but used to live amongst in CA. As a couple we had 13 years with ‘our people’ down there and it was VERY hard to pull up those roots. I savor those memories and the foundation it gave us. I know it helped us get here. Five years ago I stood in the Blakely Elementary Auditorium on an Open House Night, alone and feeling very fish out of water. A woman and her husband said “Hey, are you new? We’re new too. Come stand with the new people.” Those very people became part of our new community. Several of us moved her over the summer of 2007 and we remain friends today. This is a summer of big changes and benchmarks. I turn the big 4-0 next week. My older daughter starts junior high in August (and got her braces off). My younger daughter will begin her last year of elementary school, having been fortunate enough to spend all her years there since Kindergarden (and got her braces on). Good stuff. 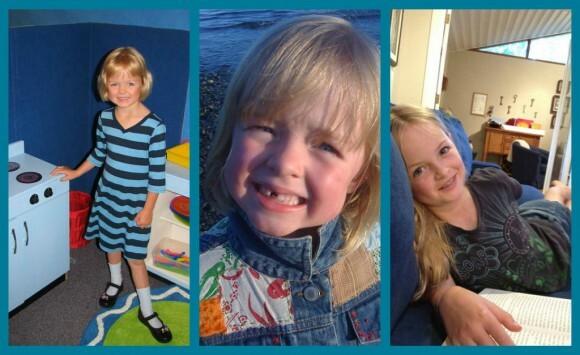 In another five years both of my girls will be in high school. 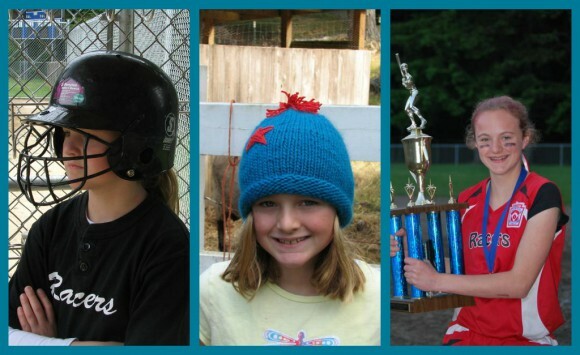 And five years after that both of my cuties will have graduated from high school and we will likely be empty nesters. Hard to believe right now. These past five years flew by lightening fast and I hear they just get faster. But I do know there is nowhere we’d rather be than right here on Bainbridge for all the benchmarks, birthdays, games, dances and graduations in near our future. We’ll be sticking around. I think we’re very officially ‘not new’ anymore . . . and this is home.